Gamle Museet (the "Old Museum") is a unique venue for conference and workshops, located in city centre Oslo with a short walk to all public transport. 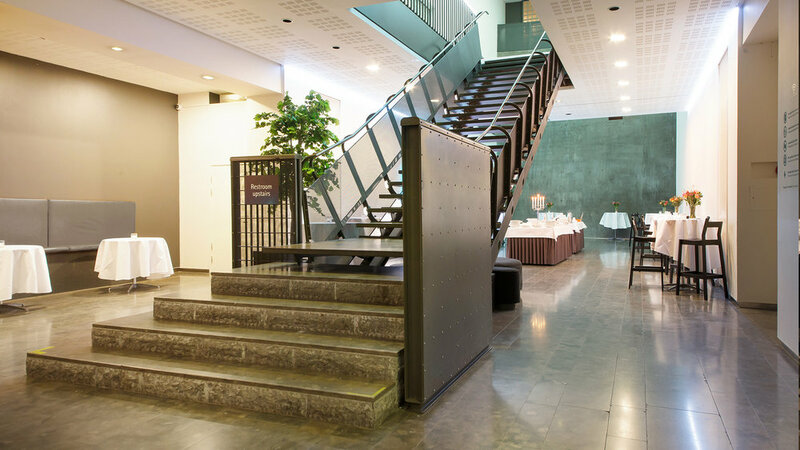 Our desire is to provide a special conference experience in the award winning building, that has housed much of Norway's most valuable art. The conference center has 3 floors and is at about 2000 sqm. In these halls you can throw a huge conference with 600 guests, or a smaller corporate event in intimate surroundings. You rent Gamle Museet exclusively, and have access to the different rooms by request if you for instance want to arrange for parallel conferences or smaller workshop groups etc. Being a fully conference and banqueting venue, you can also finish the day with a banquet in the evening. We desire to offer different types of events in these unique venues. In addition to tailored solutions for you and your event, we also offer conference options that cover most needs. Contact us for an offer and if you would like an inspection of the venues. Talk to us if you have special needs or requests. From the gallery the guests walk downstairs to the conference rooms. Large rooms for conferences and lots of space for serving lunch in a different part of the venue.